Step 1: FREAK OUT Step 2: ORDER THE JACKET! 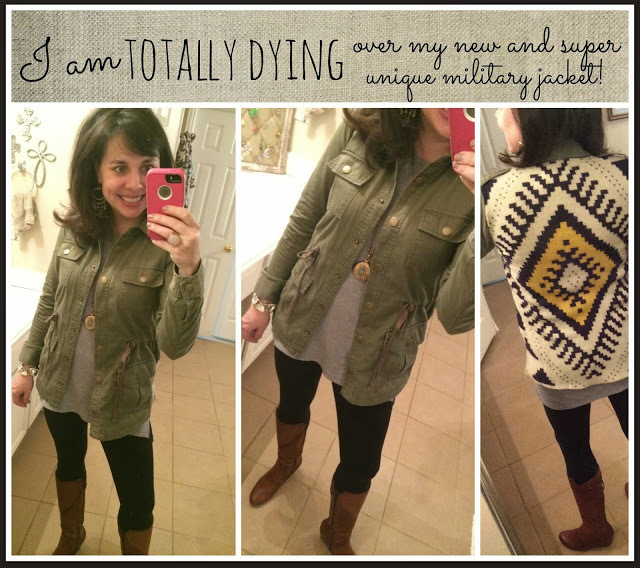 So I know you guys remember THIS military jacket that I highlighted from Milk and Honey boutique sometime in November. You guys loved it, and you all wanted it. Everybody bought it, it sold out, and there weren’t enough to go around. I found it at Nordstrom! MILK AND HONEY WAS ABLE TO GET IT BACK IN STOCK AGAIN! Quantities are limited (only 15-20 in each size), but THEY HAVE IT! If history repeats itself, it’s going to sell out. You might as well just count on it. It’s now time for Step 1. Go ahead and FREAK OUT. Why do I love this jacket so much? It’s a perfectly neutral green. It goes with everything. Eh-Ver-Ee-Thing. It’s not bulky at all. It does provide warmth, but it’s light enough to wear all day long. but it also looks great worn open with the waist cinched in on each side. 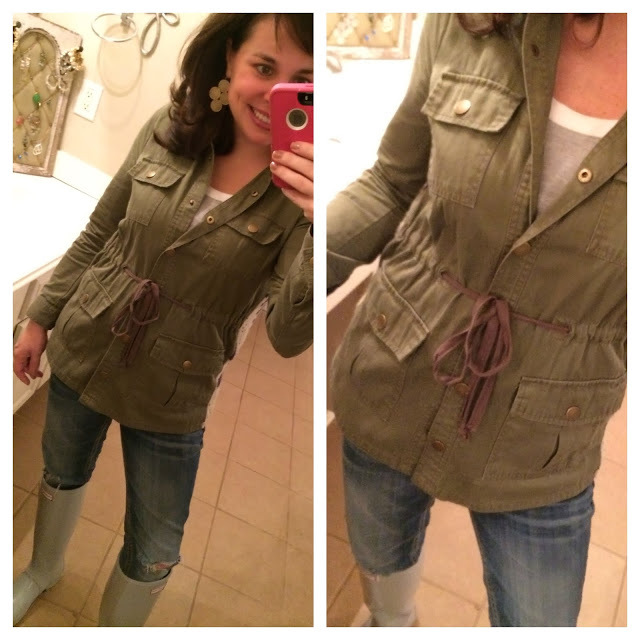 The drawstring waist is awesome. So…I know what you’re thinking. I like it, but would I really be able to wear it with that many things? Um, yeah lady…..yeah you would. 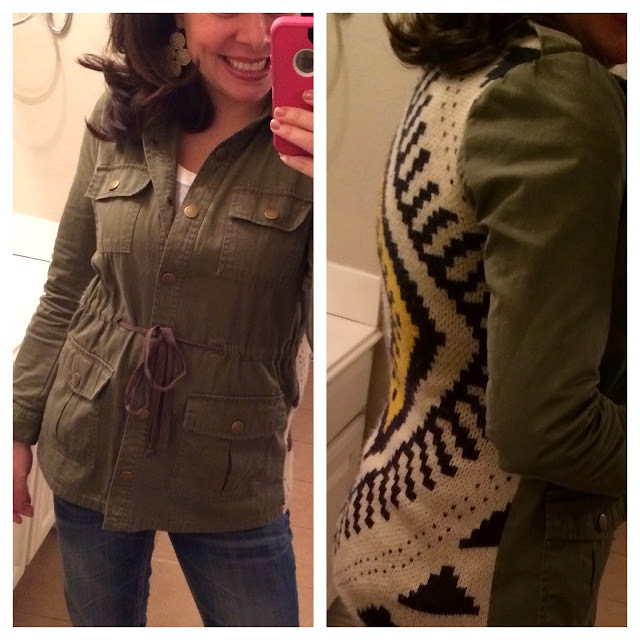 I’m going to show you SEVERAL different ways that I’ve personally worn the jacket in the last couple of months. 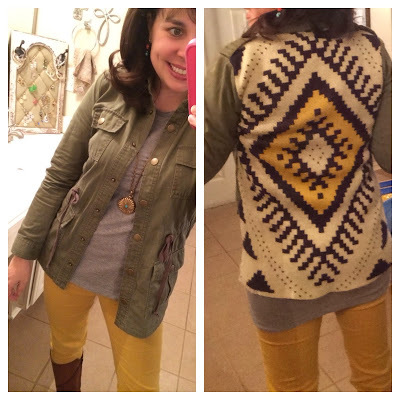 This first picture is the latest time I wore it that is just now making it to the blog. This is the first time I had worn it buttoned up and tied at the waist, and I loved it this way too! For size reference, my jacket is a small. And look how awesome the back is. and a grey or black t-shirt. And I was okay with that because I loved the jacket so much. BUT BOY WAS I WRONG! Look how cute it is when paired with RED! 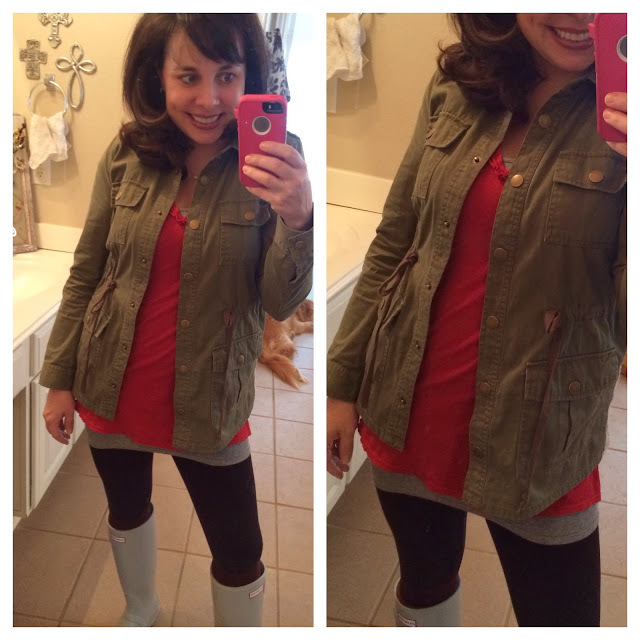 Here I am in my long grey target tank (found HERE), my long Anthropologie t-shirt (sold out, sorry), my MUST HAVE LEGGINGS (found HERE) and Hunter Boots (found HERE). With my MUST HAVE leggings HERE, my long sleeve grey tee is sold out but you can find a similar one HERE for under $25!, and my cognac wedge boots HERE that are still 40% off! Here it is with the basic black shirt and jeans look (the look I initially thought was the only look that would work with it), just jazzed up a bit with the necklace. I threw it on with my MUST HAVE shirt HERE, my MUST HAVE jeans HERE (non-distressed version), my Kimberly Necklace HERE, and my TOMS wedges HERE. And look how FAB it is with a grey tee HERE for under $25, my mustard skinny jeans (sold out, and can’t find any good options) and my cognac wedge boots HERE (40% off!). I would love this jacket even if the back were just plain. Which just makes me love it more . And apparently, it makes me want to wear it once a week. It is such an AWESOME jacket, and I’m soooo glad I have it in my closet! 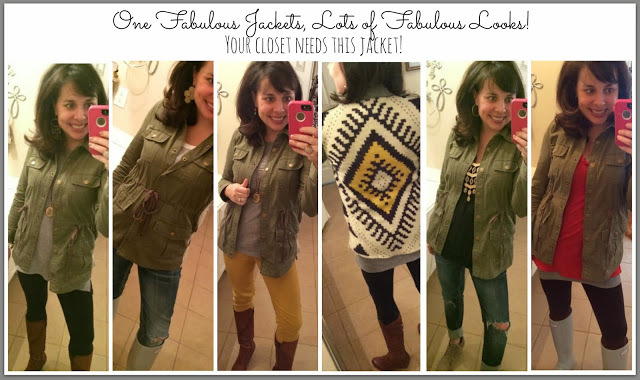 LOTS of different looks can be styled with this one super unique jacket! Are you DYING at the versatility?!? 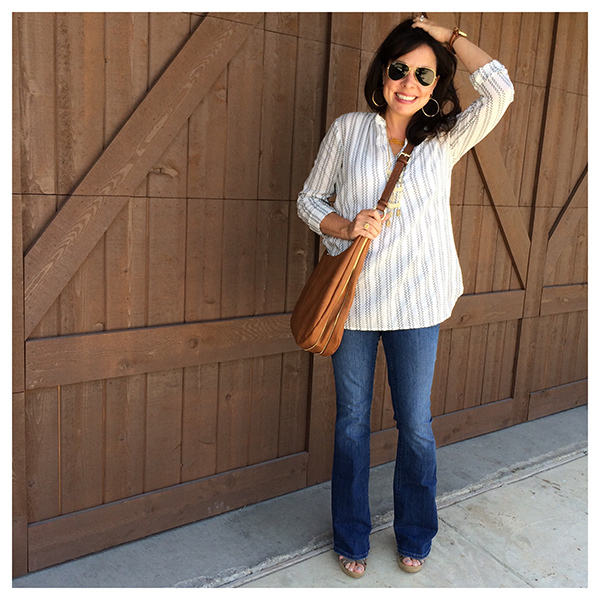 It is such an easy thing to throw on that can TOTALLY MAKE your outfit. it’s time for Step 2! Seriously, don’t miss out on this jacket again. I’m thinking it’s probably your last chance. And just because I feel like all of you need to know this asap, I got a new pair of shoes with some Christmas money! Click HERE for the Converse that I just ordered for myself. Make sure you order a 1/2 size down. I’m a 6-6 1/2 depending on the shoe, and I ordered a 5 1/2 in these! And you’re not going to believe this (except that you totally will), I already have 3 outfits pinned to recreate. One of the first outfits I’m going to recreate is going to be this one. Light colored jeans, a white tee, my military jacket, and my converse HERE. Click HERE for all women’s converse in lots of different colors. I love the grey, the white, and the navy the most. I wish they had plain white, but they don’t. I’m going to have to get over it because they are NO SHOW after all. 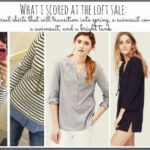 I SCOURED (and I do NOT use that term lightly) Nordstrom for sale items that were 50% off. Not 25% off, not 33% off….but 50% off. I wanted to find some amazing deals on items that I actually liked and had more than 1 size available. 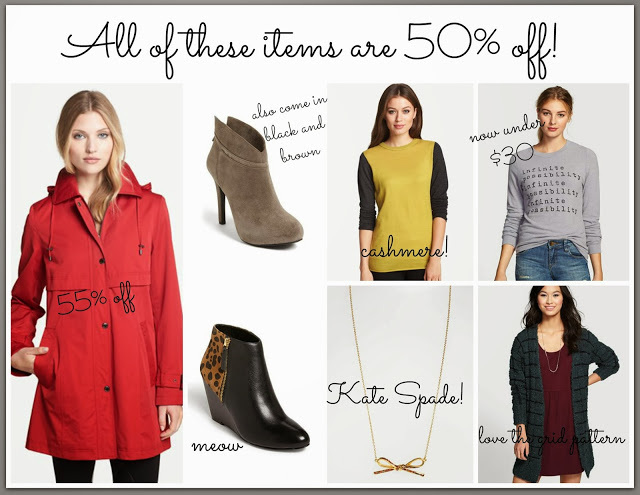 All of the following items are 50% off and are TOTAL DEALS! Click HERE for the Dolce Vita black and leopard bootie. Click HERE for the colorblock cashmere sweater. Cashmere people! There are also LOTS and LOTS of bags on sale for 33% off. Sale bags include Kate Spade, Rebecca Minkoff, Michael Kors, Marc Jacobs, Vince Camuto, as well as some lesser known brands. 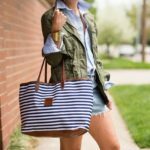 Click HERE for the bag sale! And due to computer difficulties on Friday and a sick kiddo this weekend, I wasn’t able to post the TIEKS winner on the blog (even though I did post it on facebook). 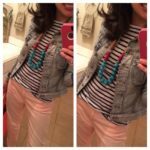 You won the $200 TIEKS credit! 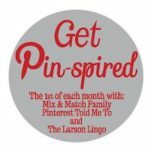 Email me at pinteresttoldmeto@yahoo.com by Wednesday morning at 8:00 am to collect your prize, or another winner will be chosen. Click HERE if you didn’t win and can’t get the Tieks flats out of your head! Thanks for reading today girls! Don’t forget about Meal Planning Monday over at Shay’s blog! Click HERE to see lots of yummy recipes, including her SPICY CORN CHOWDER. PERFECT for these cold nights! 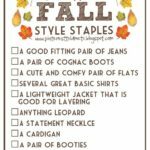 FALL STYLE STAPLES Checklist! And a GIVEAWAY! Love the military jacket…it's so unique! That jacket is to die for. I scored it months ago after seeing a friend post a pic on her FB page. Took me FOREVER to find it. Listen to Sheaffer…buy it, people. You won't regret it. OMG!!! That jacket is on its way to me!! Thanks for posting! This jacket is my favorite thing in my closet by far. Every single time I wear it I get compliments. I bought it the first time you posted it from Milk and Honey, and after I bought it my mom bought it. My sister has always been so jealous because it sold out and she dies every single time we wear ours. I'm calling her right now to make sure she's seen this post! Happy New Year, my friend! 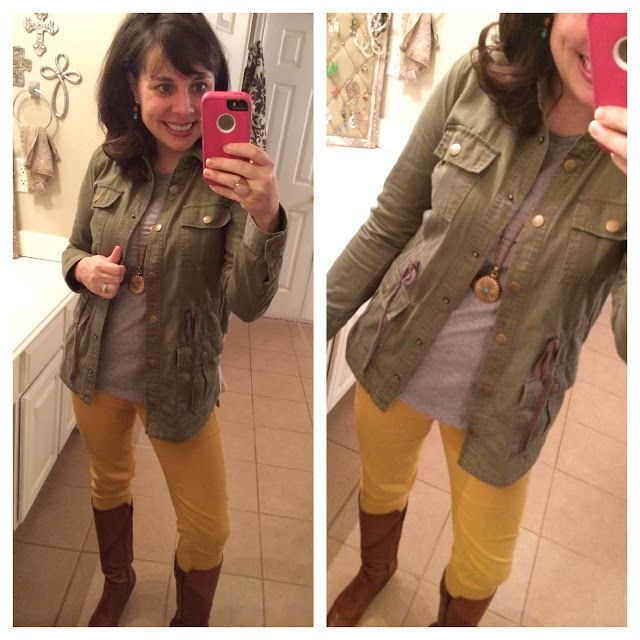 Let me just say that jacket with those mustard jeans is SO perfect! Great call on the Converse, I have a black pair that I just adore. Can't wait to see how you wear yours. I have red and pink Converse that I never wear but I'm really wanting a white pair and look at them all the time when I go shopping. Can't wait to see what you wear yours with!! It's raining and COLD here in the NorthEast today and usually that would make me bummed BUT this year I got a new pair of Hunters for Christmas so guess who is HAPPY that it's raining?!! I got the Aubergine Purple ones that you mentioned were on sale and they are such a cute color of purple..just a little pop of color to chase the winter blues!! Thanks for all your suggestions. Hi Sheaffer, I am just loving your fun blog!! I bought the military jacket from BP after seeing how many fun ways you styled yours. And now I would totally buy a second one except I recently bought too many fun things after you shared them here, like the Hue leggings, must have Vigoss jeans, striped zipper tee from the Loft, and most recently the blardigan in cocoa! Thanks for sharing your great finds with us all!! I WANT THAT JACKET!! I have a fabulous pair of white and "tiffany blue" converse….I LOVE THEM! 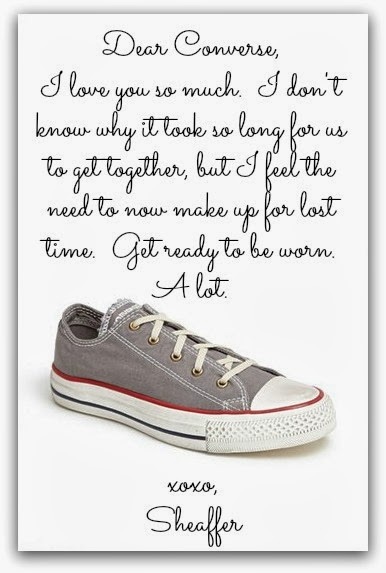 I love converse! I own both a white and grey pair and I wear them ALL THE TIME!!! By the way, Teri, I am 46 and my kids say I still look "cool" when I wear them. Awesome! I'm 47 — gotta be cool! OH yeah!! This one is gonna sell out again because of you!! 🙂 I REALLY do want it, but trying to say no to another utility jacket….I just cleaned my closet and told myself no more long sleeve pieces until next winter, but this is soooo tempting!! I love all your outfits. Gives me great ideas.. Your blog is so freaking great. Thanks.. I don't believe that you "don't know anything about fashion"…all those looks with the jacket are super cute! 🙂 I've been looking for one forever now, so I'll have to check that one out. I have 3 or 4 pairs of Converse and I love them. LOVE THEM! They are one of my favorite shoes of all time, and mine have lasted forever. Good call getting yourself a pair. Way off the subject, are you doing the Bachelor recaps this season? 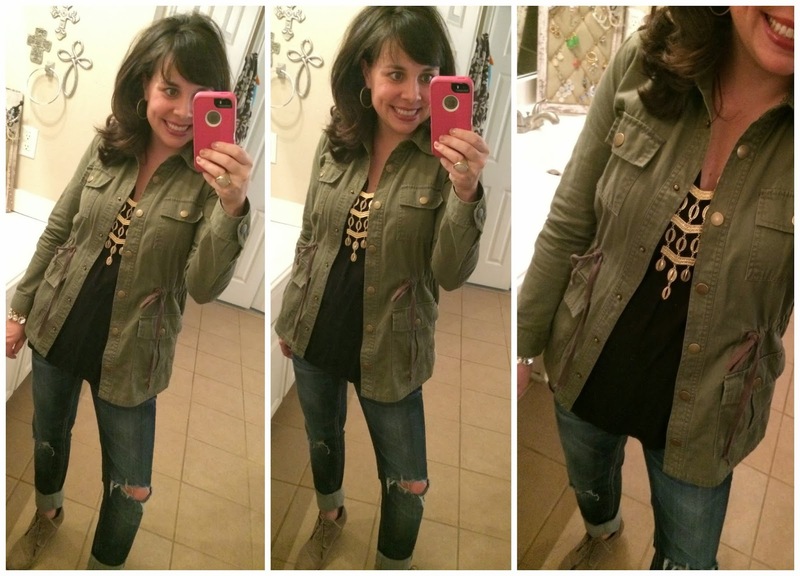 I have an army jacket and it goes so perfectly with everything!